Dr Maya works in both the private and public sector with a teaching commitment, whilst also pursuing an academic interest. She completed both her undergraduate and postgraduate training in the United Kingdom and further sub-specialised by undertaking advanced pain fellowships in internationally renowned centres in London; the National Hospital of Neurology and Neuroscience and St Mary’s Imperial College Hospital and is one of the few consultants in Malaysia admitted into the General Medical Council specialist register in the UK. Dr Maya has worked as a pain and anaesthetic consultant at University College London Hospital and benefited from mentoring and training under leading pelvic pain specialist, Dr Andrew Baranowski, and facial pain expert, Prof Zakrzewska. She has an academic interest and is widely published. In addition she is a mentor and tutor for clinical leadership programmes in the UK and trains Masters Students in Ultrasound guided interventional procedures. She is also a British Medical Acupuncture trained acupuncturist and offers treatments based on western dry needling. Dr Maya is the first Pain Specialist physician to introduce Algotec’s NeuroStimulator PENS therapy® to South East Asia. 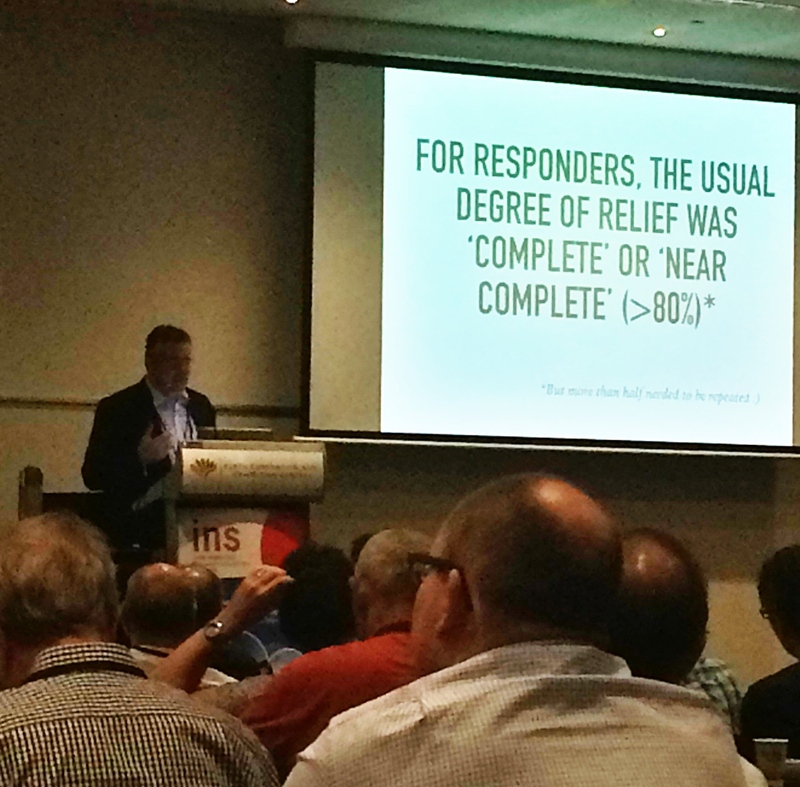 “I first encountered this treatment in pain management centres in the UK and used it in clinical trials when it first was introduced. 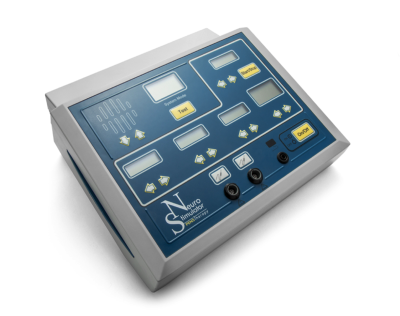 When the NICE guidelines recommended its use in April 2013 in refractory neuropathic pain, I pioneered its introduction in Malaysia and have found it an invaluable tool in my armamentarium of treatment options in difficult-to-treat, chronic neuropathic pain. Since its acquisition I have used it to treat a number of patients with good results”. 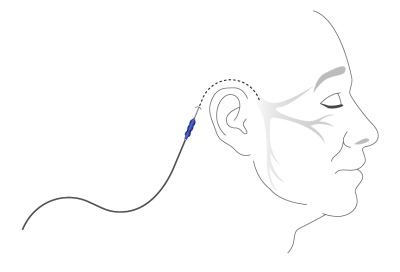 Dr Maya started using Algotec's PENS therapy, a minimally invasive diagnostic therapy, which enables the physician to determine whether a patient is likely to benefit from an implanted stimulation device, although for some patients it may also provide ongoing pain management, thereby avoiding the need for more invasive therapies, with their attendant risks. There are also patients for whom an implanted device is not appropriate and in these cases PENS therapy offers an alternative where other less invasive or pharmacological modalities have failed. Case 1. Mr C.E: 59 year old gentleman with bilateral peripheral diabetic neuropathic pain in the stocking distribution. He is intolerant of the first and second line anti-neuropathic agents, and as a prominent business man restoring functionality is vital. Using Algotec’s PENS therapy, he obtained immediate and lasting pain relief of more than 70% of initial intensity, and has managed to mobilise without the aid of crutches. He has also stopped all anti-neuropathic analgesia as a result of this treatment. Case 2. Madam FK: 81 year old lady with spinal stenosis and corresponding radicular pain with mixed nociceptive and neuropathic elements. She is not a good surgical candidate for decompressive surgery and has sedative side effects from multiple analgesic use. Using two PENS therapy Probes placed in the areas of maximal pain, she is now able to weight bear for short distances and tolerate longer sitting periods. She now manages on minimal analgesia with opioid reduction. Case 3: Madam FGU: 80 year old lady with bilateral thoracic and visceral neuropathic pain of sudden onset in the last 6 months, and refuses oral analgesia. In addition she has multiple co-morbidities and drug interactions being particularly problematic. PENS therapy offered good pain relief, although only on one side, so she is eager to have the treatment repeated on the other side. Case 4: MR SL: This gentleman has neuropathic pain in the left upper limb following chemo and radiotherapy, which is refractory to high opioid doses. Following 2 treatment sessions of PENS therapy he has managed to improve function in the arm. 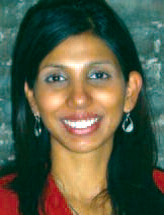 Dr Maya comments on her initial experiences with PENS therapy, saying “I find PENS therapy most useful in elderly patients who are not good surgical candidates where surgery might be an option, for patients who are intolerant of analgesic side effects, and as a mode of treatment which reduces opioid related side effects by facilitating dose reduction”.